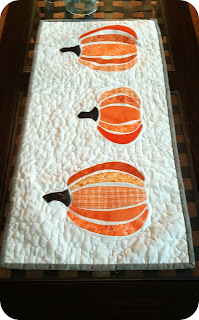 I was fallifying the house when I realized I never showed this table runner that I made last fall. 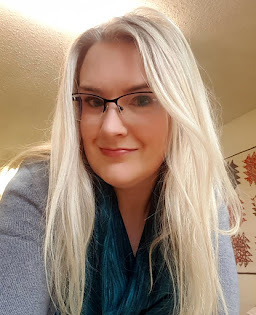 Super quick and cute. I kept the quilting simple and did a meander around the pumpkins. 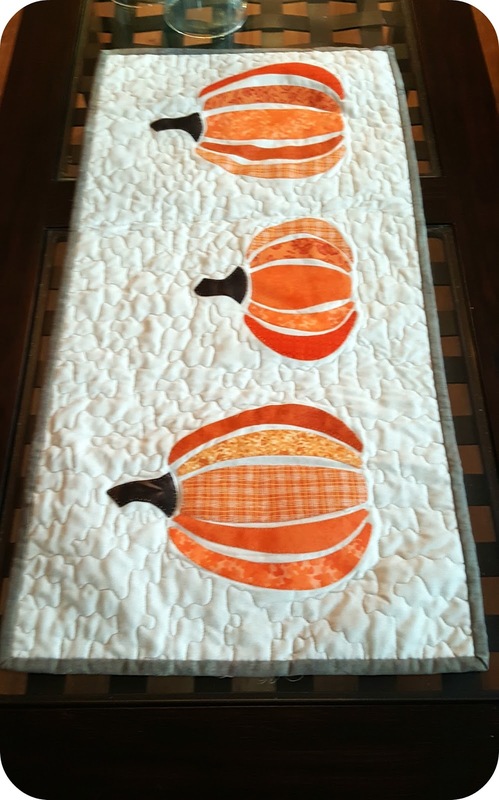 What I didn't do was quilt in between each of the pumpkin 'slices' which I sort of regret now. But not enough to pull the entire thing apart and redo it. Funny thing? When I put it on the table I noticed a thread off the left side. 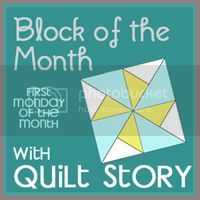 I flipped the runner over and discovered that I hadn't even finished the binding! 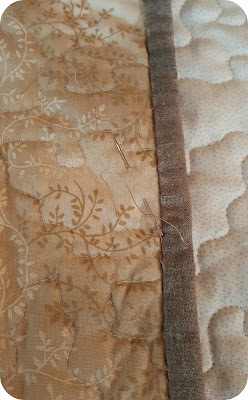 Binding is the sometimes the best, and my most favourite, part. Can't believe I didn't finish it. But it's done now and out for enjoyment. There is just something about pumpkins isn't there? 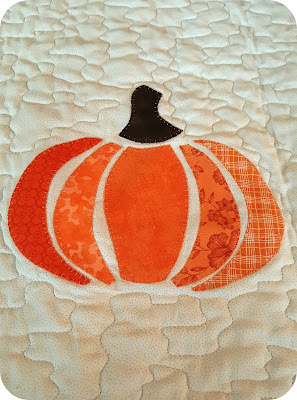 And speaking about pumpkins, did you see the fabulous pumpkin quilt from CluckCluckSew(link here)? Might have to make that for next fall.